I’ve always been absolutely terrified of heights. As a little girl, when my dad told me we would be moving to New York City, and living on the 22nd floor, I was far from excited – in fact, I was horrified. 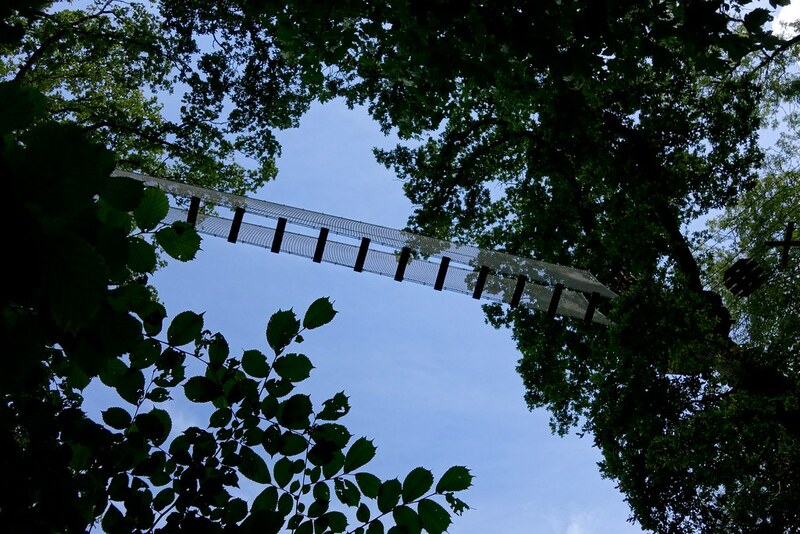 But for some reason, when I was invited to go out for a blogger’s day at Go Ape, the fact that I would be jumping out of trees didn’t phase me – until the morning of! I’m so glad that I went along, felt the fear, and did it anyway – it was so thrilling! 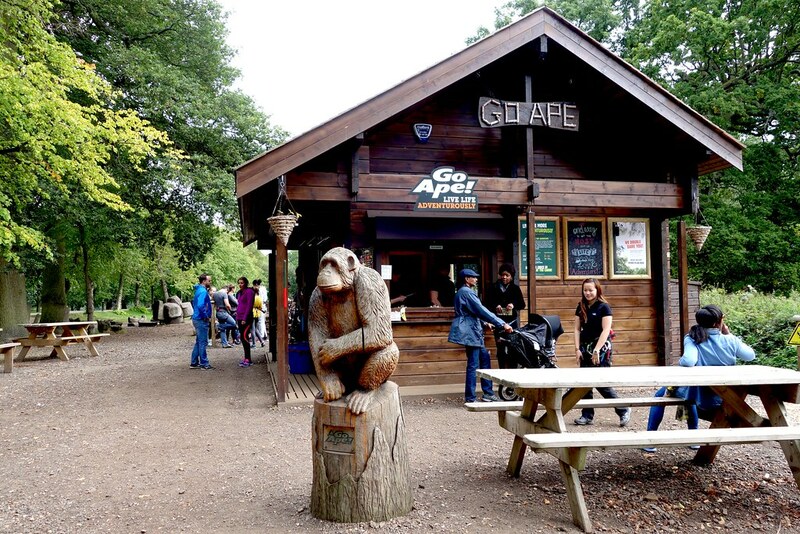 Go Ape is at Trent Park, a minutes’ walk from Cockfosters which is the last stop on the Piccadilly Line. 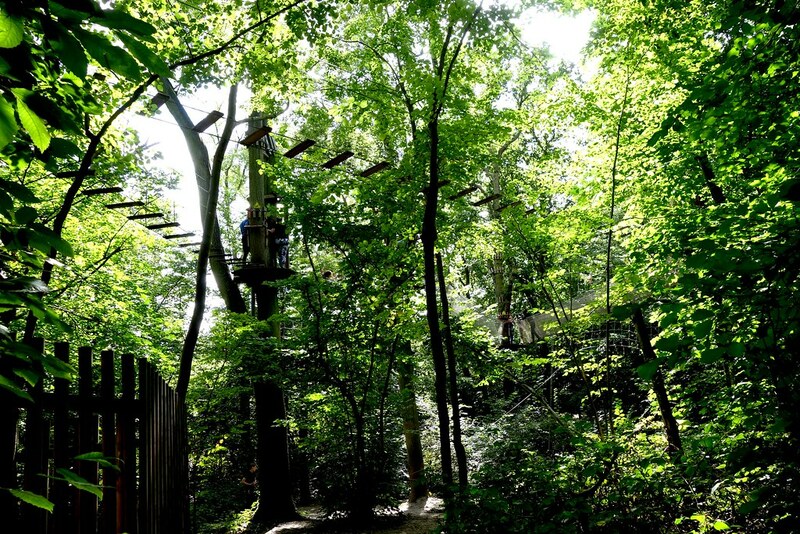 The whole event took around 3 hours, which included six courses of climbing trees, ziplines, and tarzan swings. I think we were fairly unlucky in that as a group, we were stuck behind a few people who were a bit hesitant/scared, which made it a little bit longer than it should have! After the first course (where I required a lot of coaching and support from Jess, from Look What I Got) the adrenaline was really pumping – and although I would get a little jittery at the top of each course, I was so proud of myself at the end for completing it all! 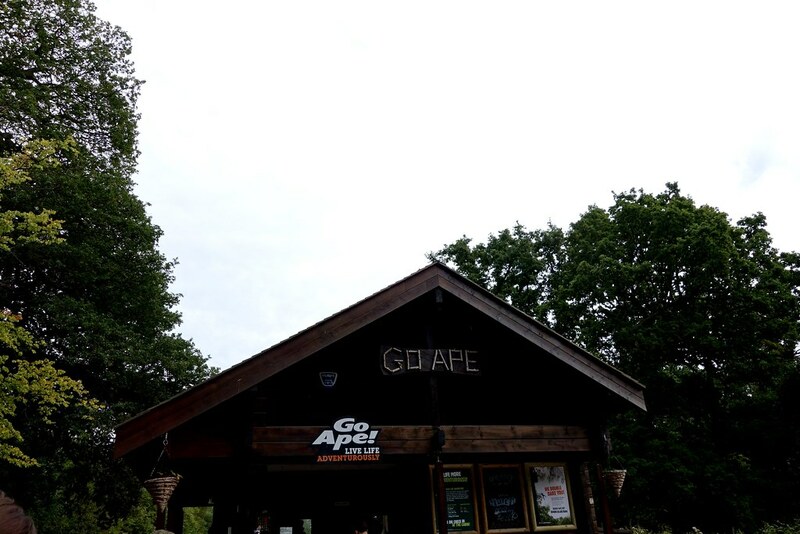 I had a really incredible time, and would recommend Go Ape as a great team outdoors activity. We were invited along to Go Ape by the lovely folks at BGO. After exploring the treetop canopies, we relaxed with cups of tea while playing their latest release – Kong, The 8th Wonder. 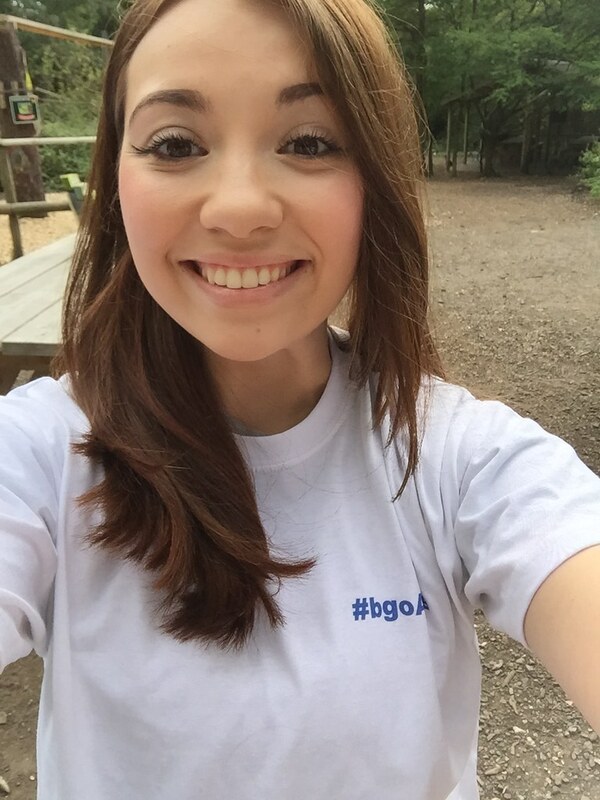 I had a blast at Go Ape – many thanks to BGO and the team at Joe Bloggers for having me! Although I was invited to Go Ape, all opinions are my own. 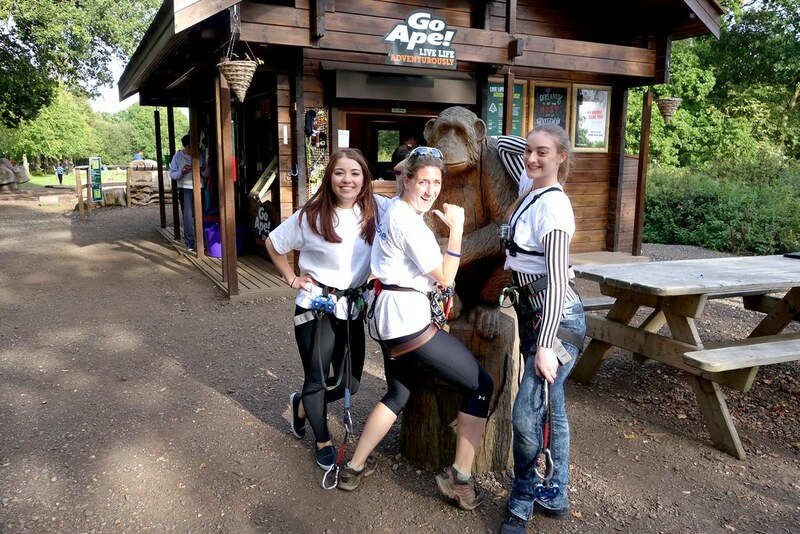 Have you ever been to Go Ape? Be sure to comment below, and don’t forget to follow me on Twitter, Facebook or Instagram! I want to visit go ape as well. Looks like a great park.